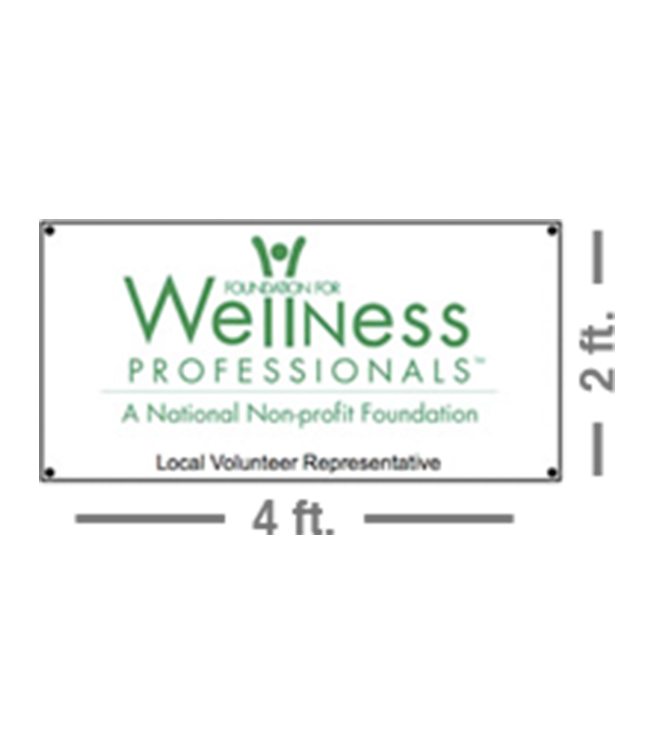 Promote your membership in the Foundation for Wellness Professionals at all of your outside marketing events, screenings and Wellness Days! Attractive 2 x 4 ft. banners are available for use at screenings, health fairs, lectures, Corporate Wellness Day, etc. NOTE: The FWP banners are available to active DSE Clients Only. All banners come with four sturdy brass grommets on fire retardant heavy vinyl and feature heavy reinforced stitching at each corner.